Vostro series has made an impression with its humble but resourceful appearance. It has volume, play/pause, rewind, Bluetooth, wifi and some other functions that offer single touch activation. Its surface, unlike its competitors (HP Pavilion), is not glossy and will not get your finger prints all over itself. Overall it’s a tidy and neatly designed system. If you aim to play games requiring high end systems, this is not your system. 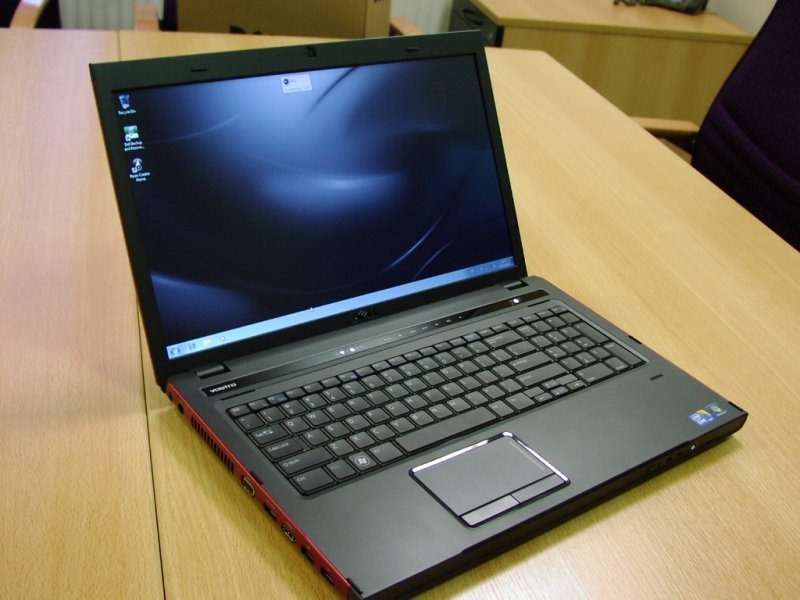 The base configuration has a built-in Intel Graphics card which lacks in quality as compared to NVIDIA or ATI graphics card. I have experience with all three cards and Intel cards lack much behind in terms of video quality and effects. There is an option to add a 1GB NVIDIA card to the system but that would cost you another Rs. 8,000 or so. So if you have the money, you can certainly go for a better gaming card. The laptop is pretty impressive in terms of speed even with an i3 processor and 2GB RAM. On this system multi tasking is faster as compared to the systems having core2duo processors and larger RAM capacity. If you are still hungry for more speed, the laptop can be upgraded with an i7 processor and a RAM up to 8GB. Although the system is pretty good in terms of speed, its cooling system isn’t able to keep up with it. Vostro 3700 has had overheating issues with many users. This problem is not much in systems having i3 processors but if you have an i7 processor, this problem will be much more evident. This is also pretty much the problem if you have a high end graphics card added to your configuration. Some users also face issues of loud noise from the power supply and fan. However when this problem was reported to Dell by a user, they were of the view “its normal”. The preinstalled software includes the latest Microsoft Office with reduced functionality (which means nothing besides Excel and Word would work), Trend Micro Worry-Free Business Security services (15 month Trial) and of course a legal copy of Windows 7. It must be mentioned that giving a 15 month subscribed anti-virus software is very generous of Dell and most companies don’t give subscriptions for more than 3 months mostly. Dell will also offer you to buy some more software for your laptop for less than the market price. Dell has also stopped giving the win-7 recovery Discs and you will have to make them yourself. The speakers are somewhat small and lack in terms of quality as well. Sound is usually very low and if you don’t use a headphone, it will be difficult to hear properly most of the time. Since Dell has had very good quality speakers on its other models such as XPS, these speakers are a big drawback to the system. This system is a little heavy to carry around with you. With the standard 6 cell battery it weighs about 2.7Kg. This weight is a little too much because dell has had much lighter laptops is both, high and low end systems. This weight also comes as a surprise because a weight around 3Kg can only be justified if you are using a 9 cell battery. It is a good system for office, home and business applications but would not let you play heavy games or use very heavy software. If you have the money go for a better system. nice… Paise ni wrna le leta…. its very expensive . its competitors are offering same thing in 52k to 56k. poster please share sources of prices as past reviews of gadgets. that helps alot. galaxy.pk(karachi) and uplinkcomputers.com(rawalpindi) are some of the local websites for refrence. Very nice Laptop. Can I buy it in installments. Some shops in saddar may offer installments packages. CSD (the Army owned chain) is known to be selling gadgets, even laptops in installments but i dont know if the offer is available for general public or not. these laptops are very expensive. for a normal pakistani people can not afford. google’s normal product is also very expensive. people can not buy these product. therefore google not take advantages. and pakistani publisher can not prove themselves.